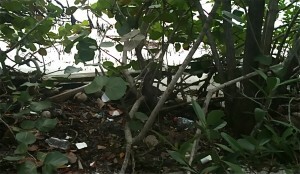 On a recent vist to Gumbo Limbo Nature Center we spotted littered water bottles collecting on top of mangroves. It can take 400 years for plastic to biodegrade in nature. What a shame. We rescued these little guys and recycled them. Two down and millions more to go. This entry was posted in One Bottle One Dream on December 1, 2011 by stephanie. Joining One Bottle One Dream was Worm’s Way, a local organic gardening supply store, who donated composting kits and will provide a matching program for schools to complete their gardening and science projects. Stephanie Armenia’s goal, through sponsorship, is to gift teachers a class set of books with a Curriculum Activity Guide that corresponds to the Sunshine State Standards. Teachers then temporarily gift one book per student to use throughout the year, creating ownership and driving home the important message that their choices matter. 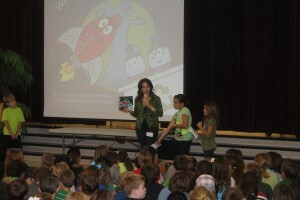 Students are then allowed to take the book home and share the story with family members to promote a green household. Books need to be returned to school and will be regifted to students next year to keep this important conversation alive between teachers, students, and parents. If you are interested in helping this project grow, please log onto www.OneBottleOneDream.com and gift books to your local school or camp. This entry was posted in One Bottle One Dream on November 15, 2011 by stephanie. 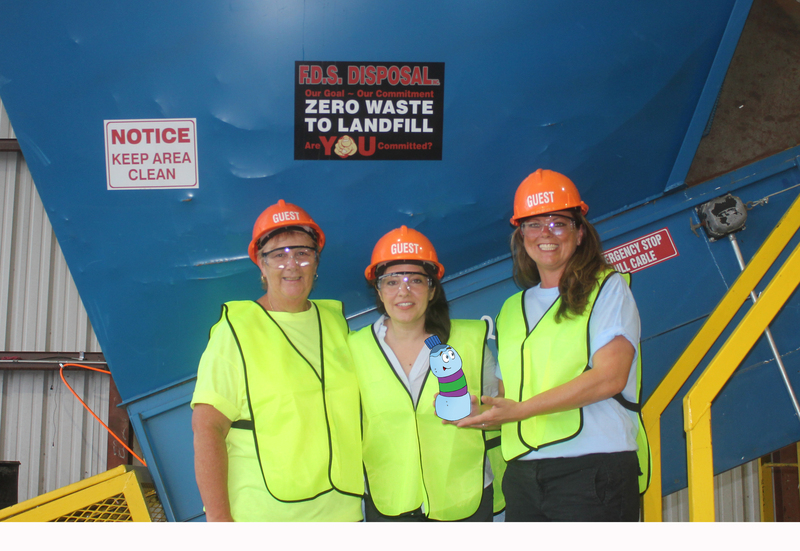 Jack Visits the Recycling Center! 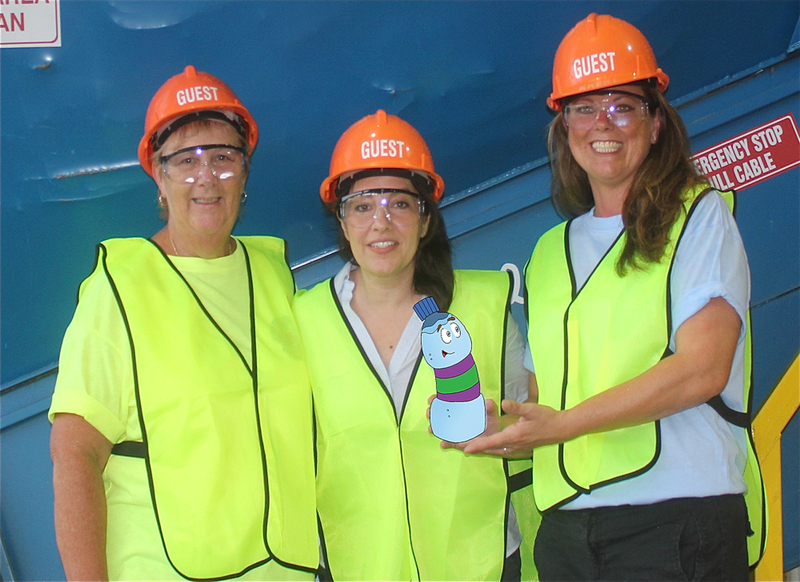 Jack had a front row seat today as Erin Ray and Sue Haganey lead the tour at Single Stream Processors in Lecanto Florida. Single stream recycling allows you to put all recyclable products into one disposal bin so cans and bottles can be recycled together with newspaper, cardboard, etc. This makes recycling easy. The highlight of the tour was their exciting on-site learning center for kids and families. 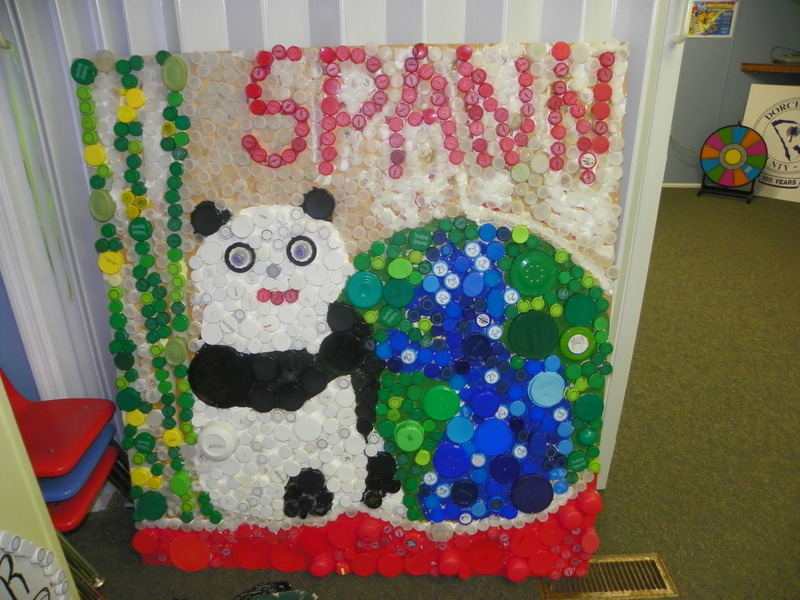 Hands-on activities help kids make an important connection with recycling. 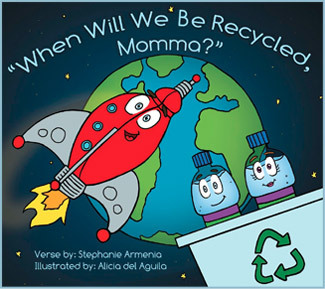 They also want kids to take the recycling vow and purchased “When Will We Be Recycled, Momma?” to gift to students visiting their facility and during educational school visits. 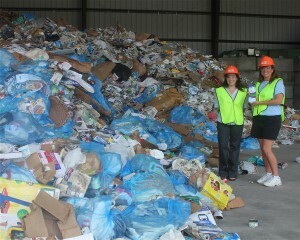 If you are interested in gifting a child with a recycling book in their hand and a passion for a greener tomorrow in their heart, log onto www.OneBottleOneDream.com and gift books to friends and your local schools to save our planet, one bottle one dream at a time. This entry was posted in One Bottle One Dream on August 31, 2011 by stephanie.